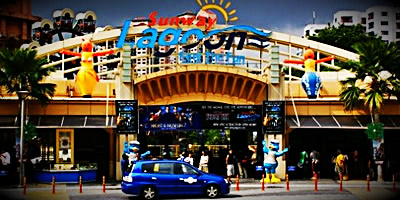 Located just 15 minutes away from Kuala Lumpur city, the captivating multi-theme park Sunway Lagoon has been officially recognized by the International Association of Amusement Parks and Attractions (IAAPA) as Asia’s Best Attraction as well as Asia’s Best Waterpark for four years in a row (2007-2010). It has also been the host of some of the world’s biggest music events. 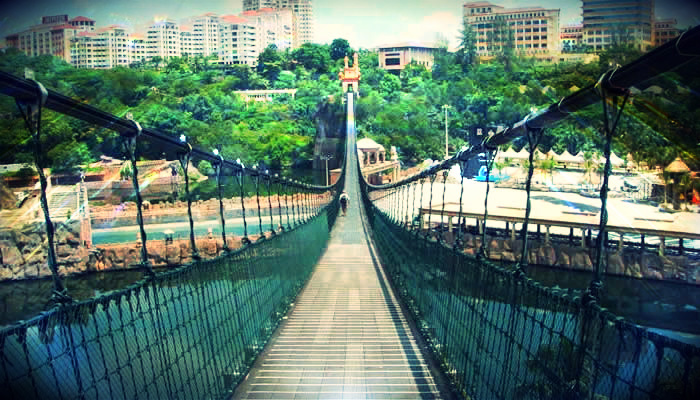 This one-of-a-kind destination in Malaysia encompasses over 80 attractions sprawled across five different yet all equally fascinating and memorable themed parks – Water Park, Amusement Park, Wildlife Park, Extreme Park and Scream Park, in order to suit all recreational needs, preferences and expectations. Visitors can expect to experience first-hand Asia’s epitome of entertainment and the ultimate fun-filled destination for people of all ages. At the Water Park you can look forward to a splashing good time while exploring the African themed water rides or soaking up the sun at the World’s Largest Man-Made Surf Beach. Housing over 140 species of exotic birds and animals, the Wildlife Park is Malaysia’s first educational and fully interactive animal-themed attraction, allowing visitors to get up close and personal with the most fascinating and tame animals in the world. Your tour will include Water Park, Wildlife Park and Amusement Park.